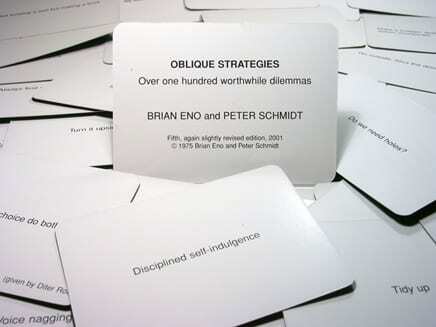 ‘Infinitesimal gradations’, ‘Repetition is a form of change’, ‘Bridges -build-burn’ – just three of the gnomic aphorisms contained in the Oblique Strategies cards devised in the early 1970s by artists Peter Schmidt and Brian Eno. The cards were aimed at providing a creative jolt to artists who were either stuck or searching for new directions for their work. 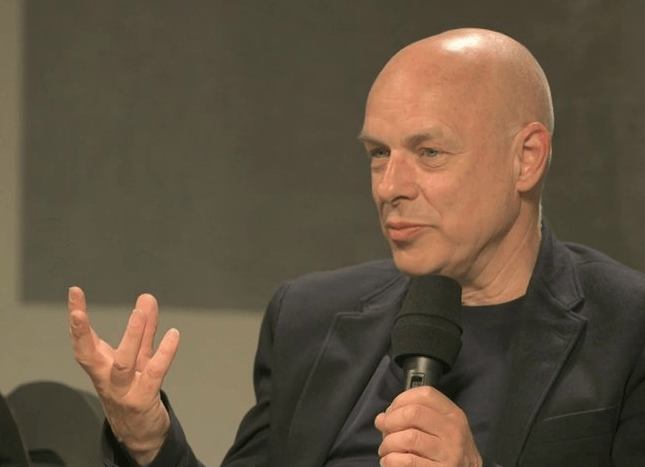 Most famously, Eno and David Bowie used the cards during the making of the now infamous set of albums known as the Berlin trilogy. Simon Armitage first came across them as a student, but has never actually owned or used a pack himself. Now he sets out to tell the story of the cards, talk to some of those who’ve used them (across the fields of music, writing, cooking, business and more) and also find out whether the cards will take his own writing in a new direction. Among those he’ll speak with are Carlos Alomar (the guitarist on those Bowie albums), user Paul Morley, chef Ian Knauer and creativity guru Professor Tudor Rickards. He’ll also use the cards to try and help him track down the elusive Brian Eno himself. 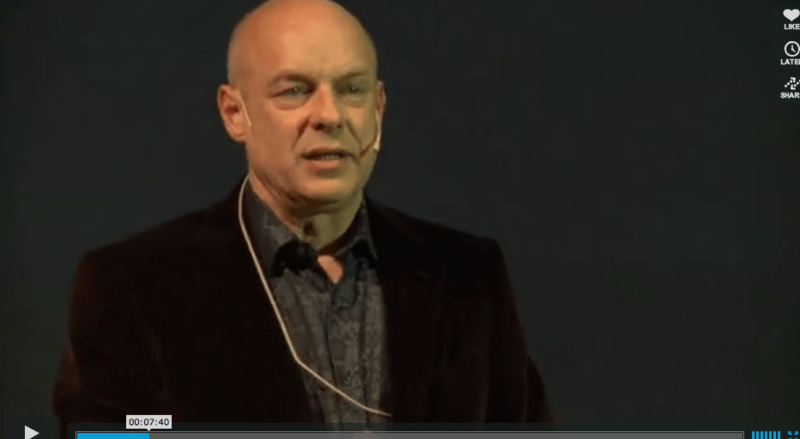 Brian Eno is always worth listening to. He is a very engaging speaker and his thoughts about art and music are extremely thought provoking and inspiring for me. 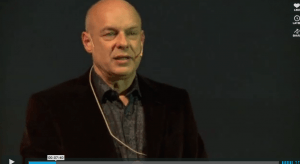 He speaks about many things in his Red Bull 2013 lecture, but two in particular caught my attention. Both these clips should be of interest to Audio Production students who specialise in music composition. PS. Look out for Kieran Hebden (Four Tet) in the Q&A at the end. No interviews or statements were forthcoming from Bowie, though Tony Visconti has said that Bowie is happy and healthy, and has been spending the last two years making this album. A spokesman added that Bowie was the sort of artist who “writes and performs what he wants when he wants”.A second representative subsequently told the Guardian there were no plans for interviews or live dates. His first release for about a decade, new audio work by Bowie is rare these days following his withdrawal from performing due to a heart condition. Bowie is a major figure in the development of music in the late 20th Century and is renowned for constantly re-inventing himself, and always surprising people. Produced by long term collaborator Tony Visconti, ‘Where Are We Now?’ was written by David Bowie, and was recorded in New York. This unusual video was directed by Tony Oursler and harks back to David’s time in Berlin. Apparently he appears with Bjork (a friend) projected onto dummy heads. 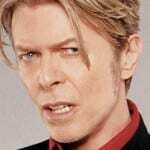 Unsurprisingly, 10 years since he was last heard, Bowie’s voice sounds older and more world-weary. The melancholic song sees him reviewing his time in Berlin – where he created some of his most groundbreaking music in the 1970s – as he lists some of his haunts with the repeated line “just walking the dead”. And in the video directed by Tony Oursler, with the musician’s pensive face projected on to a puppet, he appears to be almost biting back tears as he looks back on his life. Where Are We Now? was written by Bowie and recorded in New York. It was produced by long-term collaborator Tony Visconti, who has worked on many of his most famous albums, beginning with 1969’s Space Oddity. A follow-up album called The Next Day is set to be released in March. Recorded theatre becomes cinema. Recorded music becomes…insert noun here.